Look at any university / school communicator job posting and odds are you won’t see any mention on how the role correlates to improving the student experience. Performance reviews doubtfully will highlight how communicators can actually help educate students. Often overlooked, I believe university communicators can play an important, direct role in students’ education. I was fortunate to join 25 MBA students from Duke University’s Fuqua School of Business during their Global Academic Travel Experience to Brazil and Argentina last month. As part of my role in leading the school’s public relations activities, I organized some media interviews in both countries for some students and the professor leading the trip. Prior to the interviews, I spent a good bit of time explaining to the students some media training basics. I was grateful for their involvement, and was pleasantly surprised when each student came back to me, thanked me for the opportunity and detailed how the experience was a real eye-opener for them. 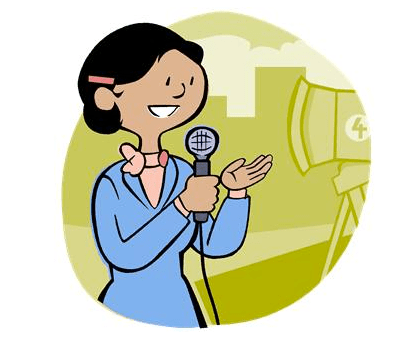 I have organized many interviews and briefings for students over the years, but for the first time it really dawned on me that I could play a more direct role in helping students learn media training skills as part of their education. The reality is that most of the MBA students I work with aspire to be future leaders of organizations and will therefore likely have the opportunity to take part in interviews. Students in other domains may not be future spokespeople, but can also benefit from the insights gained from such an experience. I would argue that this applies to students as young as high school all the way to managers taking part in an executive education course. Media relations is just one example of this student involvement in communications. Social media, personal and corporate branding, and blogging would be other obvious ways (and I will explore each of these areas in future blog posts). Media fragmentation necessitates that organizations mobilize ambassadors to tell the brand’s story. For schools and universities, our students are valuable first-person storytellers. There is a great potential for a win-win as curriculum in many specialized fields of study pay little attention to communications and public relations. Meanwhile, there is a great need for increased emphasis on communications in our education. Lack of trust permeates our society and shoddy communication practice is one of many contributing factors (see the Edelman Trust Barometer). Reputable organizations like Partnership for 21st Century Skills highlight that the 3 R’s need to be supported with the 4 C’s (creativity, collaboration, critical thinking and communication) in primary education. The role of the communications professional is constantly evolving. Just think about how brand journalism and owned media are so much more a part of the DNA of a communicator than a decade ago. While this change has been well communicated and accepted, I don’t believe that we have thought through and effectively articulated the role a university communicator can play in educating students (I would argue that communicators outside of an academic context can also serve this role of an educator within their organizations to a certain extent). It would be worthwhile for university communicators to pause and contemplate this reality. Ideally, any individual working in academia has some degree of noble pursuit in knowing that his/her efforts are playing an important role in educating the next generation. This goal should also be a motivating factor in thinking through how we as communicators working in academia can further impact the student experience. The communicator as an educator enables us to add greater value to our institutions, brings even more credibility to our roles and addresses an issue plaguing society, such as the lack of trust stemming from poor communications. – How can university communicators more effectively tell our institutions’ stories by further involving students? – Where are the opportunities to bring communications education to students? – Are there opportunities to integrate student involvement in university communications as part of existing curricula? – In what ways we can we provide stand-alone workshops and trainings that benefit the student and the university’s communications objectives? These questions are just a starting point. Are there other questions here that I am missing that can serve as a foundation for further exploring this in more detail? I would be grateful for all ideas and will be exploring this theme in more detail over the upcoming months on my blog. I would also be interested in hearing examples of university communicators who are already successful in this area. Perhaps one day in the future, it will be the industry standard for hiring managers to ask university communicator job applicants how effective they are at integrating their day-to-day role into the student’s educational experience.